You can visit Business Press free theme demo here. 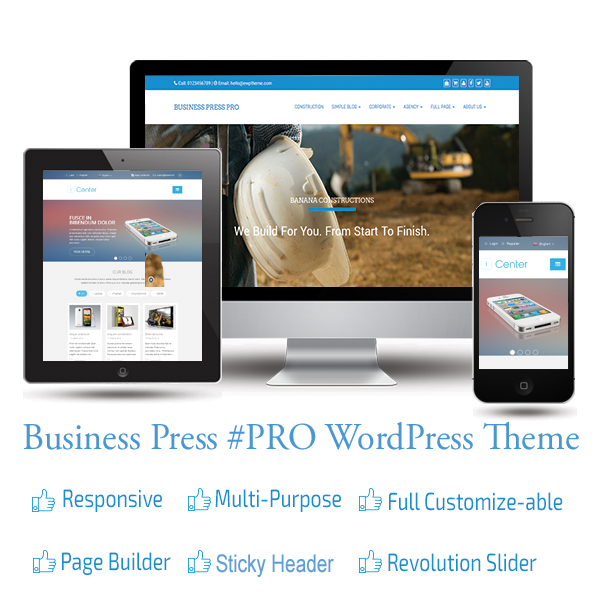 “Business Press” theme installation is easy and same as you did before. 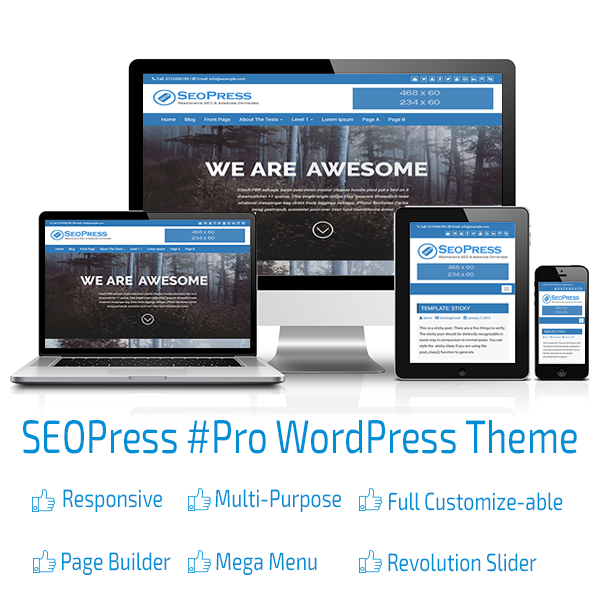 Please follow: WordPress Admin > Appearance > Themes > Add New. Here search for “Business Press”, install it and activate it. For page options, please follow: WordPress Admin > Pages > All Pages > Add New / Edit. Here you will find “Business Press Options for this page” section. These options will apply on individual page. We can also check “hide page title/headline” to hide page title under “Business Press Options for this page” section. It will hide page title and it will look better. Business press theme has advance / dynamic footer widget option. By default, it does not display footer widgets. But we can add from 1 to 4 areas for widget in footer using theme options. To add footer widget areas, please follow: WordPress Admin > Appearance > Customize > Business Press options > Footer Options. Here you will see 0 selected. You can move slider form 0 to 3 to add 3 widget areas in footer. Now save this setting and go to: WordPress Admin > Appearance > Widgets. Here you will see assigned 3 widget areas. Just pick and drop any widget and it will work.